Property 3: Modern appartment in a forested area of Normandy with an indoor swimming pool. Spacious 2 bed Apt. Great views of the floral gardens. Close to all amenites. Property 4: Spacious 2 bed Apt. Great views of the floral gardens. Close to all amenites. Modern studio in a forested area of Normandy with an indoor swimming pool. Property 11: Modern studio in a forested area of Normandy with an indoor swimming pool. Property 13: Wonderful gîte in the Suisse Normande with lovely garden and gorgeous view. 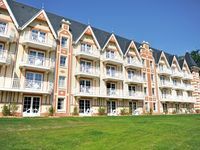 Large 3 bedroom Apartment in the French, Normandy Countryside. 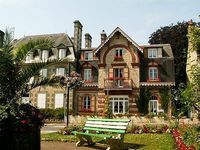 Property 16: Large 3 bedroom Apartment in the French, Normandy Countryside. This was our first trip to the Normandy area of France, and what a beautiful introduction it was. The property is in a quiet area just steps away from a bakery. The property owners have a lovely garden and picnic table that we used to have dinner. Lyn and Mike are extremely pleasant and are experts on the area. With their help we were able to locate some great sites. The unit is bright, clean, spacious and well stocked. Such a wonderful place and wonderful owners.